Getting ready for the weekend!!! 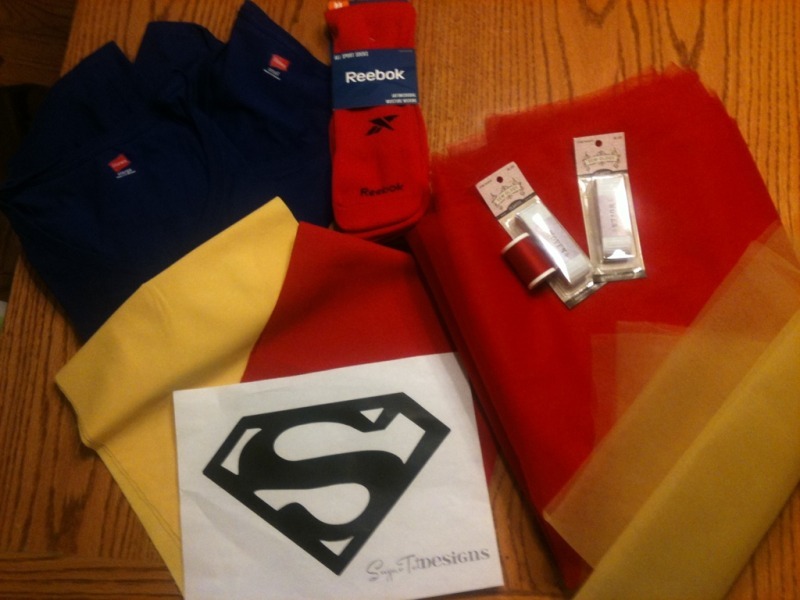 I went shopping yesterday to get everything I needed for the Supergirl costumes. I got a little frustrated in trying to find the correct color and type of shirt. I ended up getting long sleeve shirts but I will just cut off the sleeves. The picture doesn’t show the true color of the blue because it was 11 pm and the lights in my kitchen add a yellow glow. Plus anything dark looks almost black. 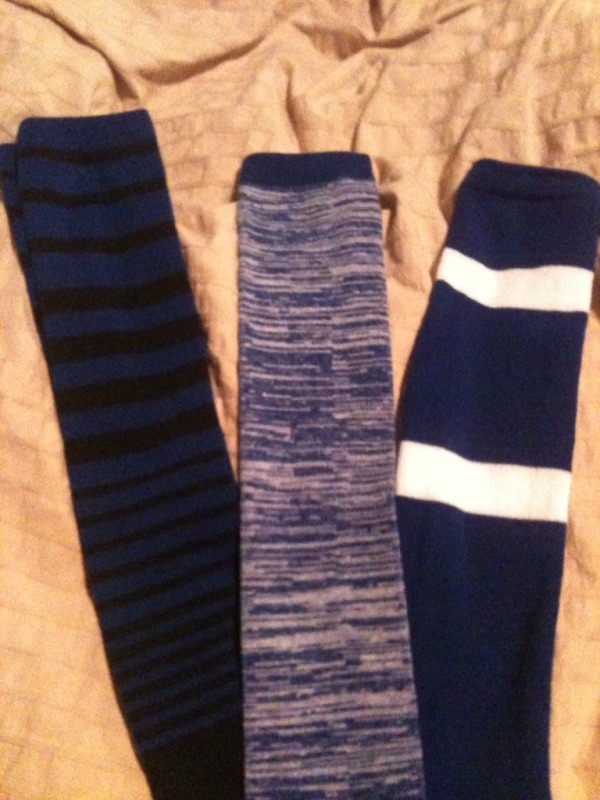 Of course since I was looking for my red knee high socks, I couldn’t help myself and came home with a new pack of blue ones. My big boy helped me pick them out. I ended up wearing a pair to zumba last night. I didn’t get to my normal class because my big boy was sick with a sinus infection. I’ve got both tutu’s done so now it will be on to the logo’s and shirts. 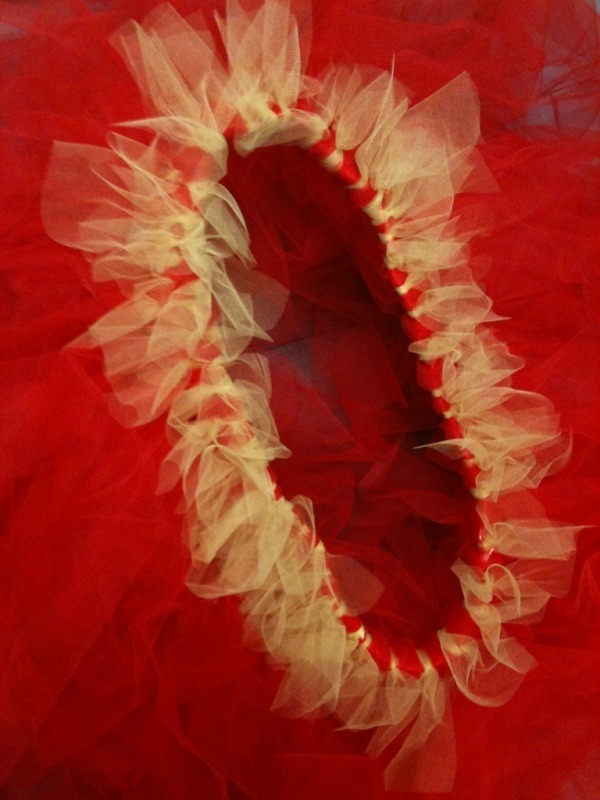 So here is a peak at one of the tutu’s. In case you are wondering why there is yellow tulle on the top, it’s to give you the idea of her yellow belt. Cause a belt is not going to stay put nor be comfortable for 3.1 miles. I’m meeting at least a few ladies in the morning for a 3 mile run. I at least hope to keep up cause I am slow. I laugh and say that I am slow as molasses but at least I am still moving. I will post pictures when I get the shirts done, or at least a sneak peak. You won’t get to see the whole costume until after I finish the race and can post about it. Hope everyone has a great Labor Day weekend.